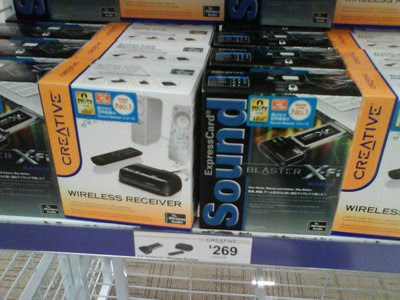 The Sound Blaster X-Fi Notebook + Wireless Receiver bundle is now going for SG$269 at the Creative Store at International Business Park. Strangely, the online price for both products is the same as the bundle price (SG$149 + SG$120 = $269). Shouldn't bundle deals be cheaper? Watch this video to know more about this product.